These eyes as expected, have visual adaptations optimized for this environment. Julien Claes, the lead authors of a new study notes that “There are about 50 different shark species that are able to produce light”. Given that there are 50 separate bioluminescent species of shark, one might expect some visual system specializations and indeed there are. 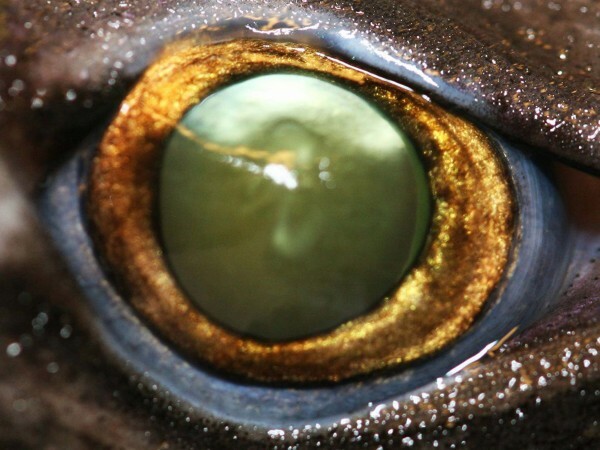 Everything from higher rod densities to descriptions of bioluminescent specializations used for communication and specialized transparencies in the upper socket of the eye to help adjust illumination. Personally, I would love to get my hands on just a tiny piece of well fixed (in glutaraldehyde) retinas from these sharks.